Ever considered whether your card would be accepted in Uzbekistan, or how much cash you would need in Kyrgyzstan? Look, probably not, as these places are fairly off the beaten trail (and seemingly out of reach) for most Aussie travellers. We’re here to show you that this isn’t the case, and that Central Asia is a culturally rich and visually stunning region worthy of the top spot on your bucket list. 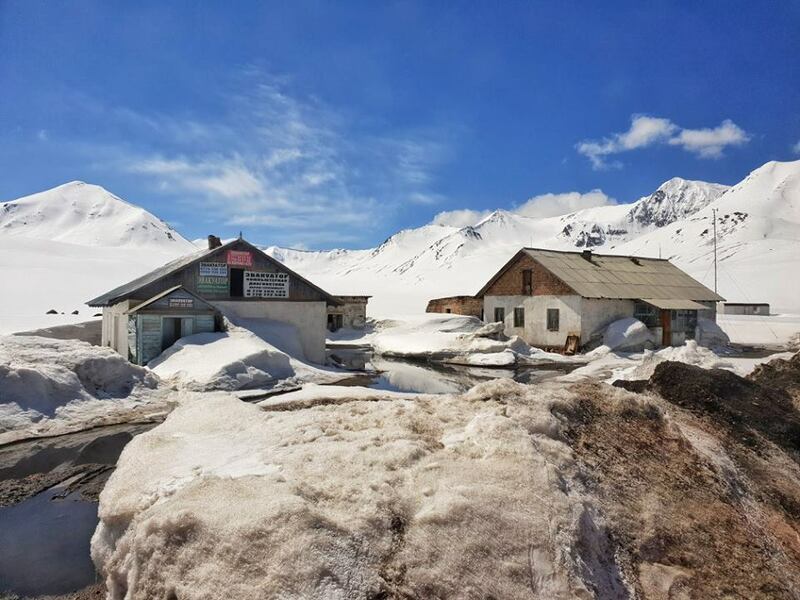 Guest writer, Claudia, explored the splendour of Central Asia for her honeymoon and has provided us with wanderlust inducing photos and stories, as well as some Travel Money tips along the way. Part 2 details her adventures in Uzbekistan and Kyrgyzstan, check our her post about Turkmenistan here! 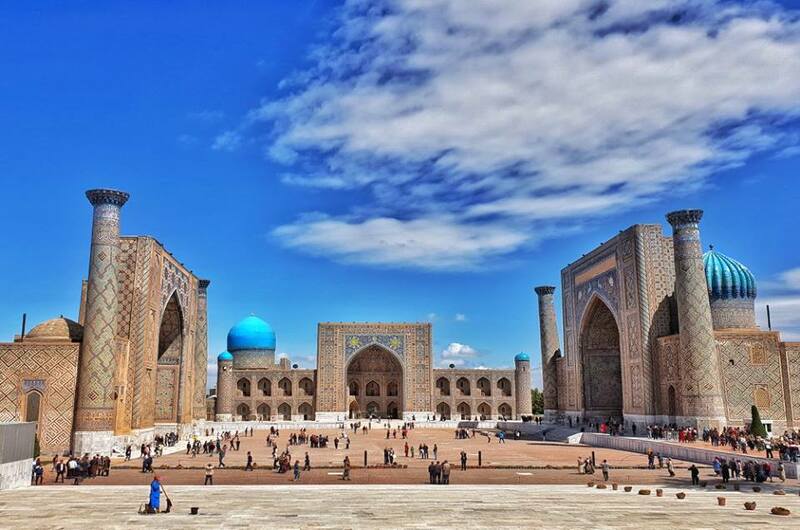 From Khiva, to Bukhara, to Samarkand, to Tashkent - Uzbekistan is home to some amazing places. Blue mosaic tiles and immaculately restored buildings. Ghengis Khan must have liked this country because there was enough left to restore when he was done with it! If you dreamed of living in Aladdin, come to Uzbekistan! We drank, we danced, we had some much needed downtime, and we saw more blue tiles than you can poke a stick at. We saw an old soviet half abandoned amusement park, went to an opera, and ate SO much food. If you’re craving western food, get your fix in Uzbekistan cause you’re not gonna get much in the neighbouring countries. Uzbekistan has been influenced by the rest of the world a lot more compared to Kyrgyzstan, which I’ll talk about later. It’s the home of some amazing rugs (yes we bought one and I threw out all my clothes so we could bring it back in my backpack). You basically need a backpack to carry your money around, everything is so cheap, but for $100USD you get 800,000 Uzbek som. Speaking of this, it’s not uncommon to exchange money with your tour guide who has their own seemingly dodgy backpack of money. The black currency market has been regulated recently, so the exchange rates (USD to UZS) from your guides are pretty solid. Stay in a yurt! Fun! Needed a visa, no longer need a letter of invitation, but needed to send our passports to Singapore to get them to issue the visa. Most helpful embassy/consulate/whatever I’ve EVER contacted! I don’t even know where to start with Kyrgyzstan - imagine the most beautiful parts of Tassie, New Zealand, Switzerland, and Canada, and then inject them with steroids in your mind. It is SO beautiful! It is seriously incredible. I’ve got goosebumps just from remembering! Note: it is very, very third world and basic, even compared to a lot of the rest of Asia. But it is SO clean. Other than Bishkek (which houses the only KFC you will find in the whole country) you won’t see a city. You’ll see the Kyrgyz version of a city, which is a road with some markets branching off it and maybe 2 ATMs (which rarely accept foreign cards). We found in Kyrgzstan there weren’t many places to spend money, but there is a little trading economy which you’ll find grows in your group, so I found we never had to stress about running out of cash if there were a few days where we didn’t have access. Kyrgyzstan was cold as hell at night, but during the day it was gorgeous. We trekked, hiked, rode horses, swam in lakes and rivers, and really just enjoyed being disconnected in such an incredibly beautiful place. That being said, if you wanted to connect data on a local SIM is about $20USD for 10GB. The wild camping was simultaneously the highlight and lowlight in Kyrgyzstan. It was incredible because it was amazing to plonk yourself in between some mountains surrounded by wild horses and just be astounded everywhere you look. But it also completely sucked because it was freezing. Our washing bowls froze over, the kettle froze, and the hose off the water tank on the truck froze. That’s how bloody cold it was...and you really miss showering. We also got in some soviet people carriers and drove through an avalanche to get to some hot springs. This was an absolute highlight! So cool. 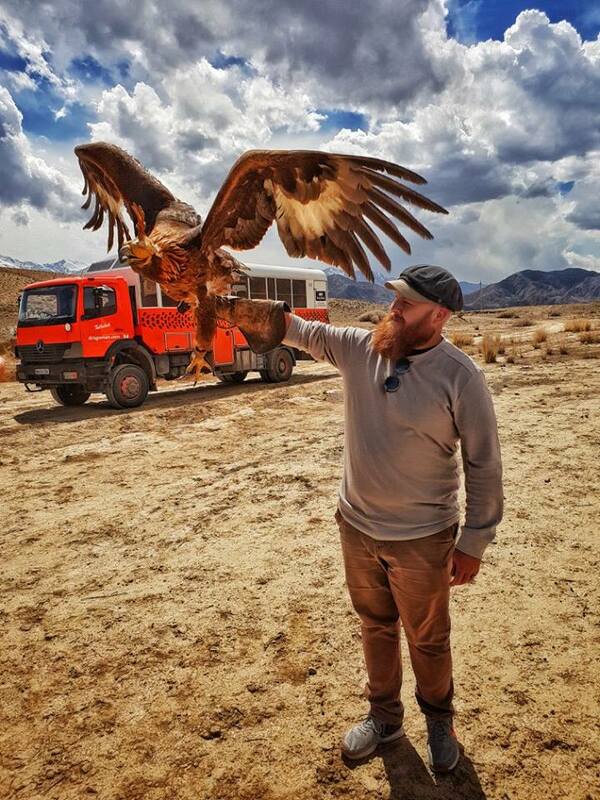 BUT NOT AS COOL AS HOLDING A GOLDEN EAGLE (and seeing and learning about the ancient tradition of Eagle hunting). Fun fact: the birds are released back into the wild after 15-20 years (lifespan of 50+ years) with their human. Because they've learned to hunt their whole life they survive! Most guest houses/hotels won’t be equipped for a group in terms of all being able to have a shower at the same time, or all attempting to use the Wi-Fi at the same time. Sometimes they don’t have hot water at all. Sometimes there’s no water pressure. Sometimes the water was dark brown. If you cleared a shower without being nailed by one of them, it was a good week! 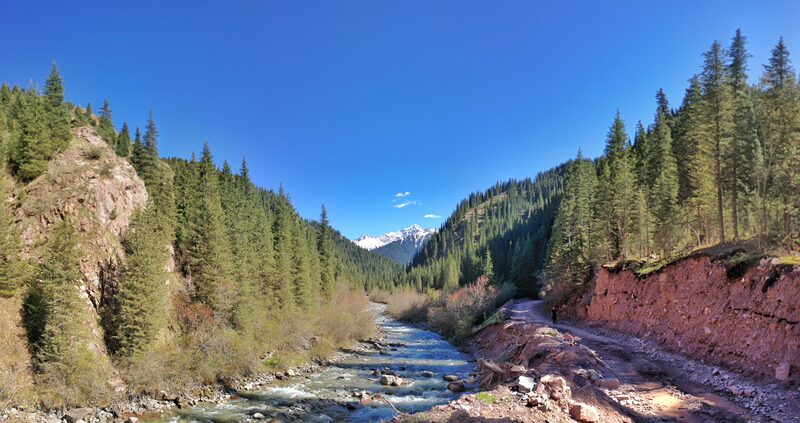 94% of the country is mountains, which means you’ll be at altitude, which means it’s colder than you expect. No one on our trip got altitude sickness (you go above 11,000ft!) but if you’ve had it before or know you’ll get it, be prepared. Did I mention how cold it was? In May?! We ate some weeeeeeeeeeeird stuff. There’s a lot of horse meat around, some weird cold soups, etc. Also tried mares milk, and I’ve got two words which will haunt you for the rest of your life - it’s fizzy. Bleugh. There is not much ‘western civilisation’ in terms of what you would expect from most places. Towns are few and far between, so are facilities. I think I saw 3 western toilets in 2 weeks. Overall, if you’re still reading, it was the best trip ever. I think.